In Year 2, we were given the task to make a cushion to take to the park for our topic celebration. We have researched about different cushions. We then designed 2 different cushions. Following this we practised the skills we would need to use so we were ready to make our own. It has been fun learning the blanket stitch. We can’t wait to use our cushions! It has been another busy couple of weeks in Otter class. We enjoyed our sunny sports' day last Friday. A big thank you to all of our supporters! Today we took another trip to South Wonston park. This time we tested the directions we have written. Now that we have checked that they work we will pass them onto a new, elderly resident in the village who doesn't know how to get to the park! We hope he can find it now, we wouldn't want him to miss out! Thank you to all the helpers who made sure we traveled there and back safely. Today we also found out which classes we will be in for Year 3. We're very excited! Miss Fewtrell can't believe there's only 2 weeks left of Year 2! We started this week by taking a walk to the park in South Wonston. We wanted to do this as we are trying to answer the question 'Why does South Wonston need a park?'. Whilst we were there we carried out a tally chart to keep track of what we saw, and what would give us a clue about who uses the park and what for. When we got back to school, we turned our findings into a bar graph. We were surprised to find that there were no babies, or elderly at the park on such a beautiful, sunny day! We wondered why this was? What would make the park more suitable for these people? We are looking forward to doing more investigating! This week we have started learning about riddles. We looked at what the features are and then enjoyed reciting them. When we performed them we needed to remember to have clear, loud voices, actions and expression in voice. Next we will practise writing riddle sentences and then plan to write our own about animals. We're looking forward to sharing them with you in our class assembly! This week we have been thinking about what makes a good story teller. We considered how stories can be shared and we noticed that it isn't always through a book, we can watch them too. All of us in Otters had different opinions on how we like to hear a story; some us enjoy reading to ourselves, and others enjoy having the story told to them. We celebrated being story tellers by creating our own badges. Then we thought about Christian stories and how Jesus was also a story teller. This week we have been thinking more about Florence Nightingale's influence on other people. We have been great historians and considered the significant changes she made to hospitals by investigating pictures/ paintings of hospitals which were captured before and after her time at the Crimean war. After, we thought about different people's opinions of her. Did everyone think she was great like we do today? We noticed that most consider her as a superhero but other nurses at the time thought bad of her. We wonder how much of what is said about her in history is true? Also this week, Miss Fewtrell has been enjoying looking at all our Florence Nightingale topic homework. She is very proud of our efforts! We have designed some fantastic new, modern-day female superheros! This week we are thinking about spelling, punctuation and grammar (SPaG). We have been playing SPaG games to help us remember word types, sentence types and how to write in certain tenses. Did you know that not all past tense verbs have the -ed suffix?! This practice will help us whilst we're writing our own versions of The Bear and The Piano. We've planned new stories such as The Puppy and The Violin, The Tiger and The Guitar or The Kitten and The Drum. Miss Fewtrell can't wait to read them! Also this week we are learning about the properties of 2D and 3D shapes, we've realised that some are closely related! For example, a cuboid is made from rectangle and square shaped faces. Recently in Maths we have been learning how to measure. Last week we learnt how to read an analogue clock using quarters, and our knowledge of the five times table. This week we have explored length/height, weight and capacity. We read the scales and recorded our measurements. It was great fun learning how to do this with our rulers, scales and measuring containers. Did you know that 1000ml is equal to 1l? And 100cm is the same as 1m? We have been historians and looked at different sources to find out about Florence's life. The videos we watched gave us lots of information. Did you know that Nightingale lived in Romsey, Hampshire? We have especially enjoyed trying on her old fashioned outfits, and looking at the equipment she would have used. We have noticed that she lived through the Victorian era. This week we have been enjoying our English learning in particular. We have started to read a book called The Bear and The Piano. It is a wonderful tale of adventurous bear! Before we read any of the story we predicted what would happen, and then wrote our own blurbs to match. Here's a snippet of some of Miss Fewtrell's favourites. Would you like to like to read the story too? 'This book will amaze you! It will blow your mind! Disaster strikes and everything goes wrong! If you're brave, open the page. Beware this tale will give you nightmares. What a lovely way to start our Summer term! We have been loving the sunshine in Otter class. We have been outside for story time and our golden mile each day! Thank you to the parents who have provided us with sun hats, cream and water bottles this week! Also this week we have been thinking about habitats along the equator; especially rainforests. To help us consider what it is like there we have looked at artwork by Henri Rousseau. 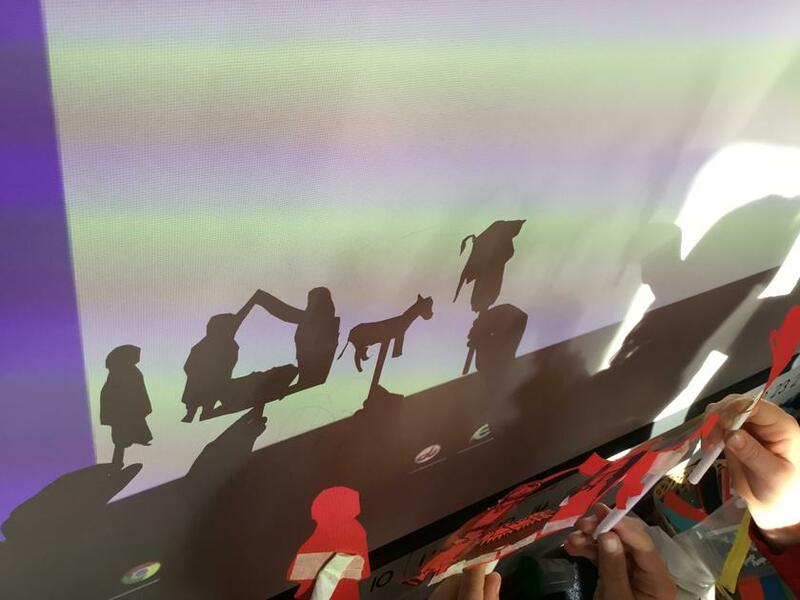 Now we are using the collage technique to create our own piece with different animals. We can't wait to show you them once they're all finished! It has been a great start to the week in Year 2. We have had a lovely day thinking about how we can have a healthy diet, and why it is important. We decided to make our own healthy pizzas. First we tested which toppings; most of them we loved but raw mushroom wasn't very popular! Next we practised our skills, grating cheese was tricky! It was fun designing and making our own, but the best part was when we got to taste them after they had been cooked in the oven! They were healthy and delicious! Thank you to our parent helpers who showed us how to do things and kept our classrooms tidy! Tomorrow we're going to write instructions to tell you how to make your own! We're now all looking forward to the Easter break too! We hope everyone has a lovely time with their friends and family! It has been another busy week in Otters! 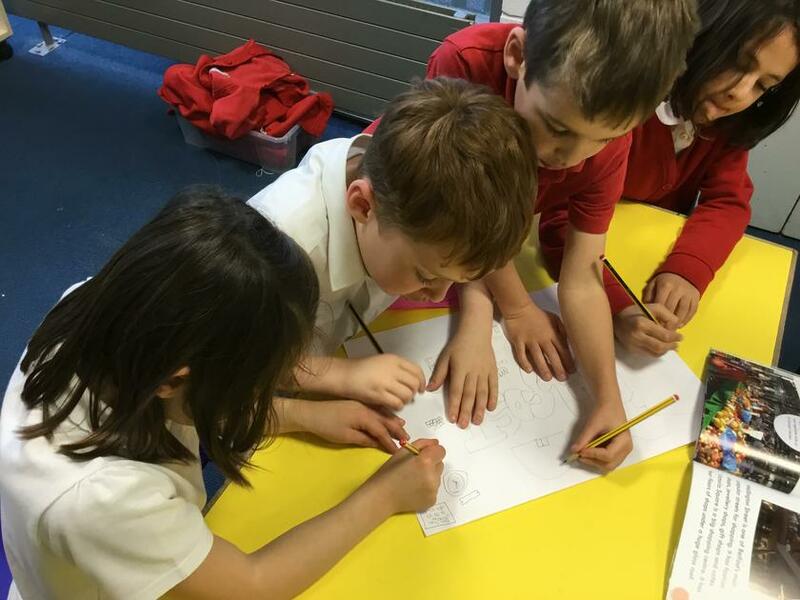 We started the week looking at a map of a zoo. We gave instructions for how to get to different animal enclosures using compass directions. If we did this on a computer it would be called algorithms! Also this week we have enjoyed our exciting African music concert, and a day of Sports Relief celebrations. Thank you to all the parents who have supported us by either being an audience member, or donating money! Next week we are looking forward to our long awaited trip to Marwell! Fingers crossed it doesn't snow! This week we have had so much fun celebrating Science. On Monday we carried out lots of different experiments! We loved making our own slime and watching the volcanoes explode! We were very lucky to have visitors today. They were from the University of Southampton. They told us all about the research they do about bodies, and taught us some interesting facts! Did you know that the human body is made up of approximately 206 bones!? We even had a go at creating our own X-Ray images. How many bones do you think we have in our hands alone?! Otters Diary - Keeping you up to date with what we have been learning about. It has been a busy week in Otters! There's so much learning to fit in since we enjoyed two days of snow last week! We visited The Anvil in Basingstoke to be part of The Big Sing concert. We sang songs about Barnaby Bear's adventure to space. It was great fun travelling on a double-decker bus and enjoying the atmosphere inside the theatre. Another highlight has been World Book Day! Everyone's costumes were amazing and we had fun sharing our favourite tales. We even watched a short snippet of Mary Poppins to see who Ms Bewick and Miss Fewtrell were dressed as.Thank you to all of our parents who made such a wonderful effort! In English we will be writing our own information pages about wild animals. These will be for Year 6 children to learn more about them! We started by visiting a mini zoo in school, and becoming researchers in the classroom. Did you know that the ostrich lays the biggest eggs? Crocodiles can grow up to 7m long! And sadly, people are polluting the oceans which is causing many fish to die. We can’t wait to visit Marwell next week, we hope we’ll gather some more facts we can use in our writing! Create a fact file about animals who live in cold, snowy places. What is the tallest snow creature you can create in the snow? Don’t forget to measure it. If you don’t have a tape measure you could take a picture with you stood beside it. Write a winter poem – can you use rhyme, alliteration, similes? What would you need to pack if you were going travelling in the winter? Write some instructions for how to pack your suitcase or rucksack. Design the best winter outfit to protect you from the harsh weather. Write a magical story set in an icy, snowy place. This week in Otters, we have been thinking about different animals and their habitats! We matched lots of different animals to the places they live, and then thought about how these animals are specially designed to live in these places. We know that mice normally live in the woods, but in English we’ve been reading a book in English about a mouse called Samson who sneakily boarded the Titanic, as he wanted to get to New York! We used words with –ful and –ness suffixes to help us write about how he might have been feeling at different points in the story. We have also been learning all about the Titanic in our Topic lessons. In particular, we have been learning the story of the Titanic and thinking about what life might have been like on board the ship. In Maths we have been practising subtraction of tens and ones using number lines to help us. We’ve been working really hard! How could I make this my best? We also thought about our new years' resolutions. We chose things that would help us at home or in school. 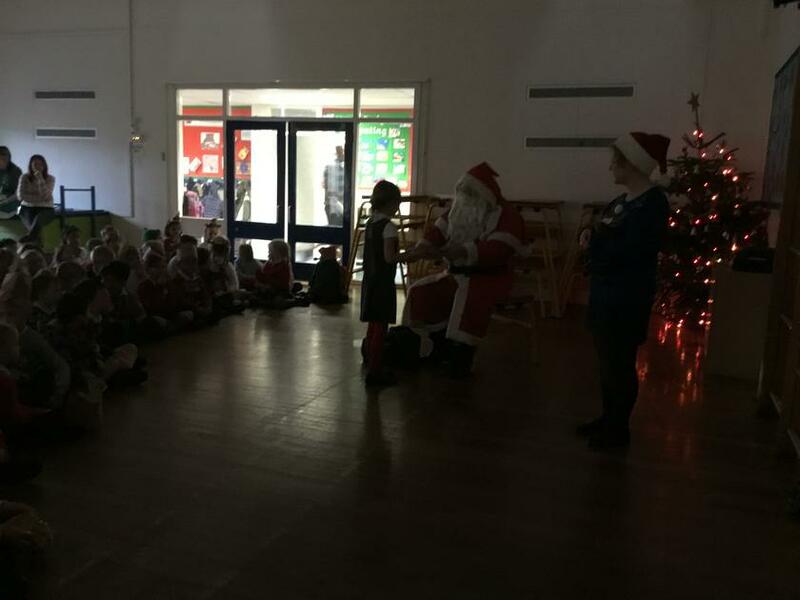 Also this week we presented our class assembly, we hope you enjoyed listening to what we've been up to! Miss Fewtrell was very proud of us! It is a magical last week in Otter class! 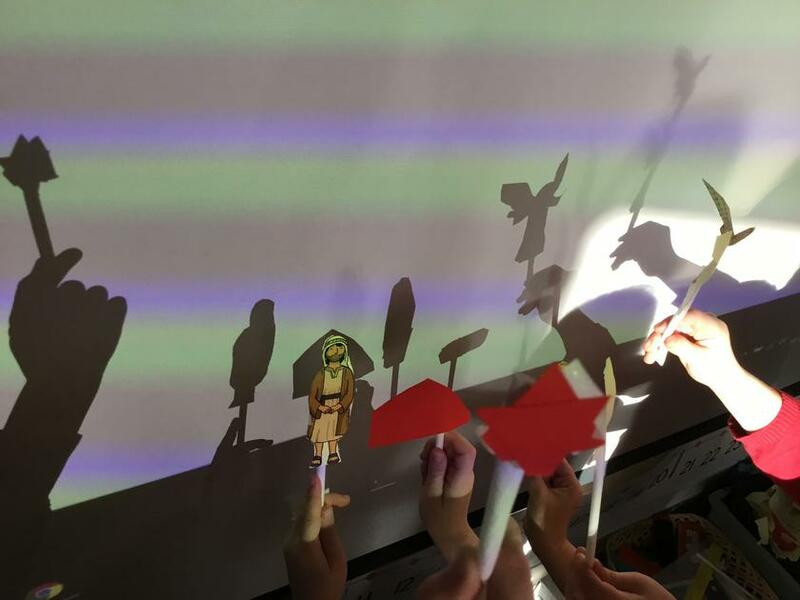 So far we have had a great time creating our own nativity shadows scenes. Miss Fewtrell thought they were lovely! 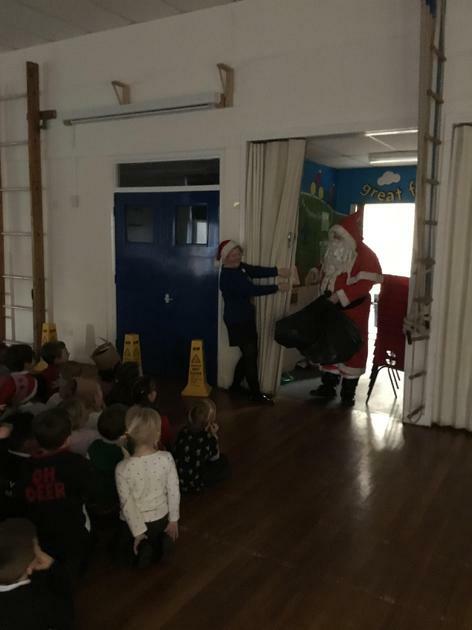 And we have enjoyed a jolly Christmas party today! We got to wear our Xmas jumpers and join in with all sorts of crafts. We even had a disco! The teachers said they enjoyed our funky dance moves! And you'll never guess who came to see us...?! He brought us some wonderful gifts which we can't wait to play with. Otters wish everyone a very Merry Christmas, and a Happy New Year! This week we have been thinking about what candle light represents in different faiths. We first looked at advent in Christianity, and then the Jewish celebration of Hanukkah. In art we noticed that candles can also create interesting shadows. 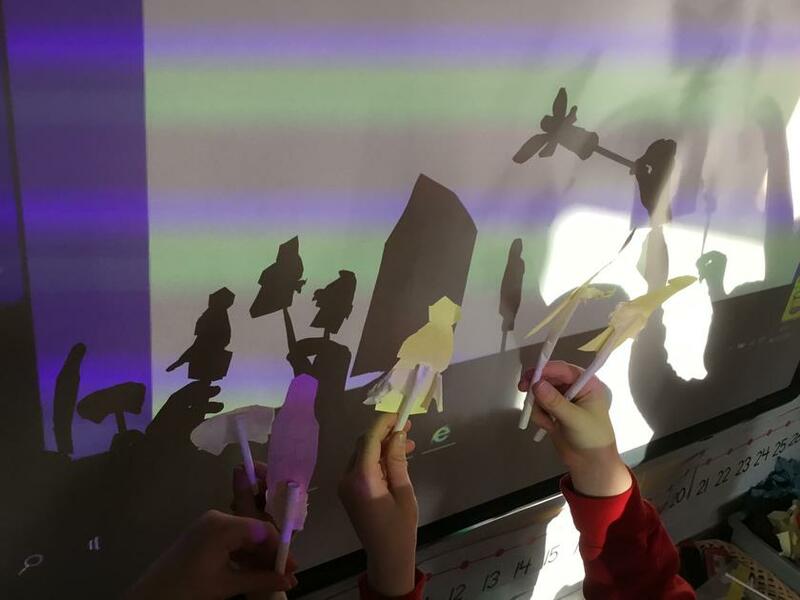 We looked at some artists’ work so we could consider how we could make our own shadow images. Our favourite artist was Kumi Yamashita. 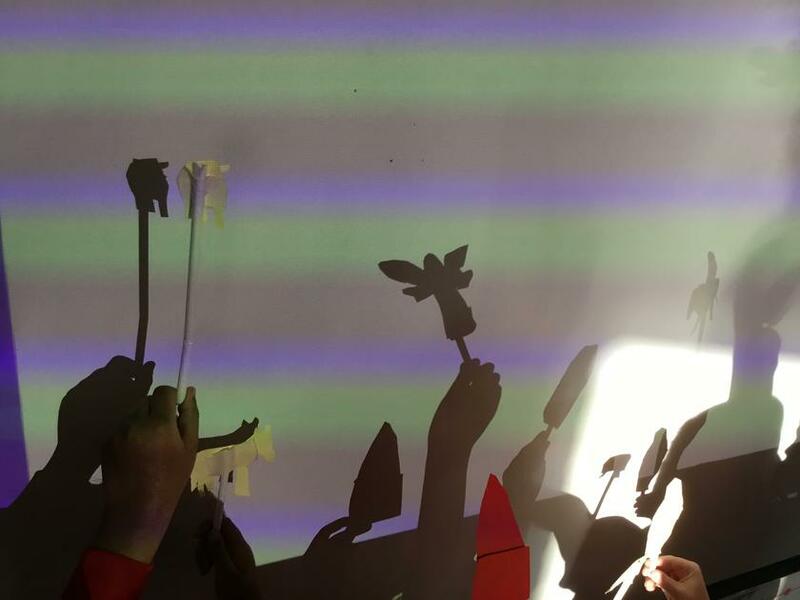 We especially loved watching the Attraction theatre group who made shadows and silhouettes with their bodies. We thought it was amazing! After, we had great fun on our shadow hunt around school. Back in the classroom we used torches and the projector to practise making shapes. We noticed if you move closer to the light your shadow will be larger, and the further away you are the smaller the shadow will be. We are looking forward to creating our own images next week! The winning performance from Attraction shadow theatre brings a potted history of Great Britain to the BGT final stage. See the Queen herself make an appearance. Throughout our topic learning this half term we have been learning about where we are in the world. The Go Jetters took us on a journey around the United Kingdom this week! We visited all of the four countries (England, Ireland, Scotland and Wales) and saw what it was like in their capital cities. 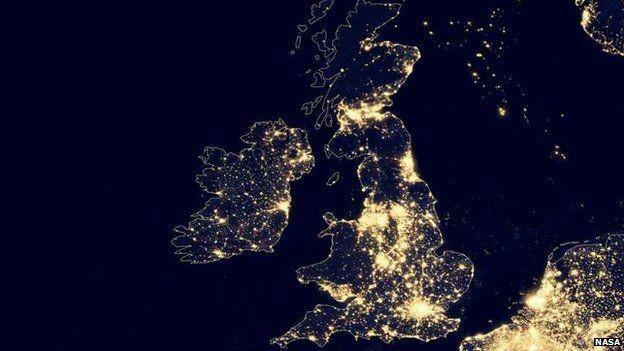 We noticed on the aerial photograph that cities are the brightest areas because they are the busiest, and full of buildings. 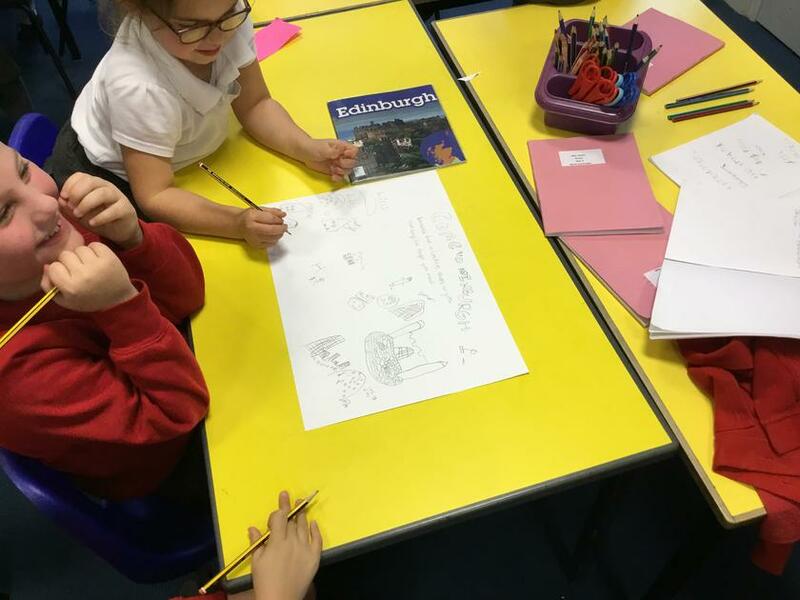 We used maps, photographs, postcards and videos to find out what we could see and do in the cities. Then we created posters to tell the Go Jetters what they could visit. We would love to see the fish sculpture in Belfast in real life, or the amazing castle in Edinburgh. Also we have been continuing to rehearse our Christmas play. We are very excited about performing in front of everyone very soon. Next week we get to practise in our costumes! We had great fun in our English learning yesterday. We decorated our own biscuits in the style of the 'Hansel and Gretel' house, and then used them to inspire our writing. We used noun phrases and similes to describe our setting. 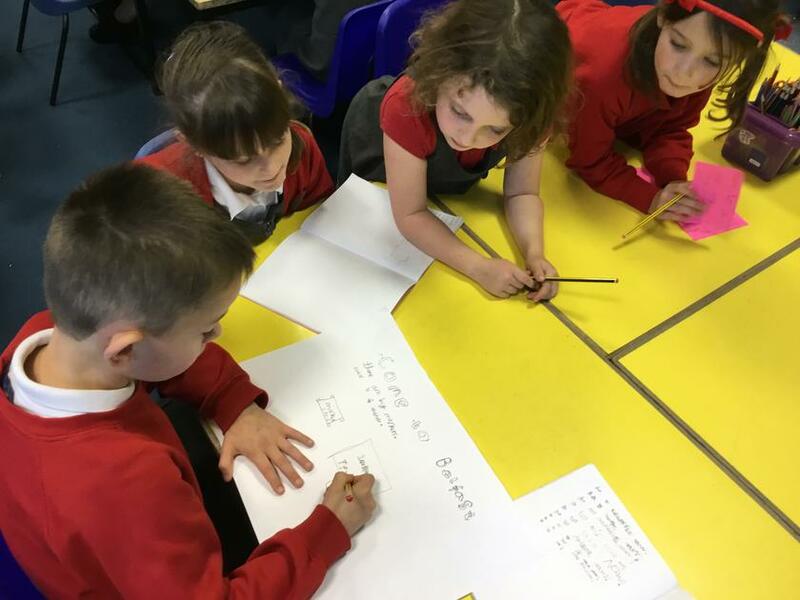 Miss Fewtrell was impressed with what we wrote. Also this week, we have been visited by a lady from The Dog's Trust. She told us about how to look after our dogs safely, including those which belong to other people. Remember to always ask the owner before you stroke their dog! We played some games to help us remember lots of the key facts. Maybe you could quiz us at home? This week in Otters we have had lots of fun. Miss Fewtrell said there was some breaking news! We discovered some unusual items in the story telling area outside our classroom. There were baskets, cloaks, a tea set, and lots of other fairy tale paraphernalia. We discussed what all fairy tales have the same, for example they are all set in the forest, they have animals who can talk, and each have a problem. Now in English we are focusing on the story of Hansel and Gretel; we became story tellers and retold the story. We also met the witch and decided she really isn't a very nice character. What did we find in the story telling area outside the classroom? This week we have completed our Autumn poems. Miss Fewtrell loved reading them! Also in our Maths learning we have been singing our 2, 5 and 10 timetables. Can you test us at home? In our topic learning we found out that we live in the county of Hampshire. Hampshire has lots of different places to visit. We created our own maps and included a key so we could show what is there. It has been a lovely week back at school for Otters. In English we are thinking about autumn time. We have been learning skills to help us write our own autumn poems. We went on a welly walk and used our senses to collect adjectives which we used in our sentences. Lots of us have been getting into the spirit of autumn and have enjoyed celebrating Halloween. We told our ‘tick’ or treating’ tales in class and described the creepy characters we dressed as. Also we have started to learn the songs for our Christmas play. We’re all very excited, and are enjoying learning and rehearsing our lines. We have had a week full of exciting learning in Otters! We had a great time researching and designing our own moving toys. We used axles made from straws so that our wheels would spin. We are very proud of what we created! On Wednesday we enjoyed a pantomime show of Jack and The Beanstalk. We had a good boogie and sing along! There were some very interesting characters; we thought some of them were lovely but we were scared of the giant and Squire Bogie! Miss Fewtrell was very pleased with our retelling of the story back in our classroom. We ended the week by sharing information about our parents’ toys from the past. We loved looking at how they worked and hearing about what they were like. Thank you for telling us about them! Otters have had a busy week. In our Maths learning we have been using our number bond, and tens and ones knowledge to answer addition and subtraction number sentences. We have used number lines to help us check our answers. We even tried to mark some of Miss Fewtrell's work. She made some 'silly sausage' mistakes! Also, in English lessons we had great fun making marmalade sandwiches for Paddington Bear. We even wrote instructions for Mrs Bird who looks after him. Hopefully she now knows how to make the perfect sandwiches for Paddington too! This week in Otters we have been continuing to use our partitioning skills in our Maths learning. We have used our knowledge of 2 digit numbers to compare them and say which ones are bigger than others. We used the equipment to help us. When thinking about our learning question ‘How have toys changed over time?’ we looked at how Winnie the Pooh teddy bears have changed over time. In the past he looked very different! We prefer how he looks now. Also, we have been enjoying writing about Paddington Bear. We think he is a funny character! We have practised writing different sentence types such as questions and statements. Our favourite thing about this week has been our science experiment! We tested which is the best waterproof material. We needed to know so we can choose which one to use to protect the outside toys when it rains. Ready for bedtime? Here's "I Am Absolutely Too Small for School" by Lauren Child with Mia, a lovely story for 4-6 year-olds. :) --- We're WILF Books (www.wilfbooks.com), we're new, and for those that haven't seen us just yet, we're revolutionising the children's book experience. Otters have had a great week! We have enjoyed ‘European Languages Day’ and our Harvest Festival Assembly. We learnt about France and the French language. We found out some of the French names for 2D shapes. Some of them sound very similar to how we say them in English! Also, we used maps to locate some of France’s most famous landmarks. The Eiffel Tower in the capital Paris was our favourite! In preparation for the assembly we wrote some acrostic poems. Take a look at some of them below! H is for happy helping hands. A is for amazing apples. R is for ripe raspberries. V is for very yummy vegetables. E is for excellent farmers. S is for sweet scrumptious sweetcorn. T is for tasty tomatoes. H is for helping hands. A is for juicy apples. S is for sour strawberries. T is for tea leaves. It has been another busy week in Otters' class. We have been learning how to partition numbers into tens and ones, and how to use these skills to help us find ten more, and ten less than a number. In English we have been reading a story called Old Bear, it is by Jane Hissey. We have learned how to write expanded noun phrases about the characters; we think Little Bear is very cute! Also, in Science we have started to think about different materials and how we could sort them into different groups. In Otters this week we found out what our new topic is. We are going to be learning about how toys have changed over time. We have had great fun looking at everyone’s toys from home. Now we are looking forward to finding out more about toys from the past! In English we have been looking at teddy bears and choosing suitable adjectives to describe them when writing our sentences. Also, Miss Fewtrell has been impressed with our Maths learning. We have been practising our number bonds to 20 and counting in 2s, 5s and 10s.